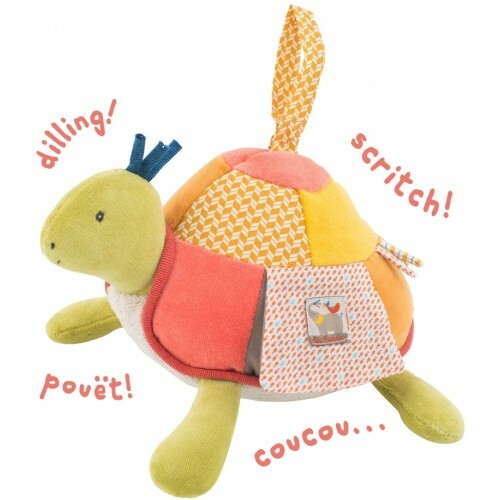 This colourful turtle will delight your little one! It helps developing baby's senses: view (mirror), touch (soft fabrics) and earing (rattle sound, crinkle paper, squeaker). It can be attached anywhere thanks to the Velcro strap. Great sensory toy and companion for babies. Dimension: 24cm. In cotton, linen, plastic and polyester. Delicate wash at 30 degrees, no tumble dry. From birth.